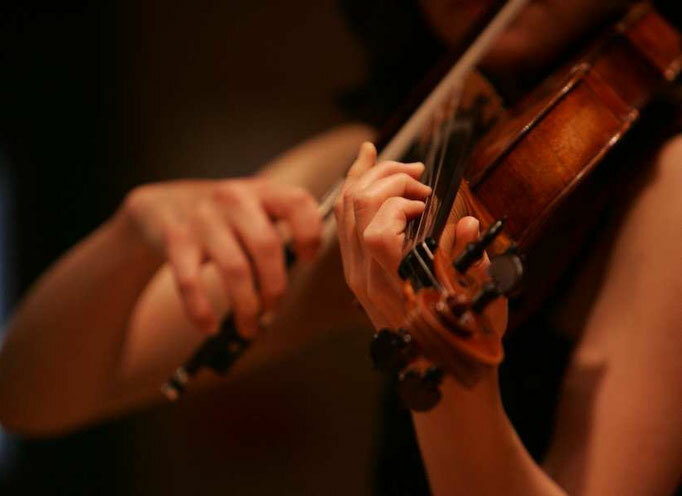 Programme: Prokofiev "Peter and Wolf" / Saint-Saens "Carnival of the Animals"
Programme: Works by Mozart, Debussy, Wagner, Kreisler, Sarasate etc. Programme: Ireland "Phantasie Trio", Mendelssohn Piano Trio in D minor etc. 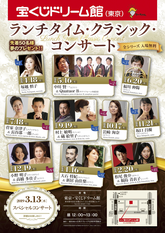 Programme: Prokofiev Symphony No.1 / Ravel "Le Tombeau de Couperin" etc. Programme: Elgar "Serenade for strings", Grieg "Holberg Suite" etc. For more Information, please contact: Cas' Applausi or VIRTUOSO VIOLINS Ltd. 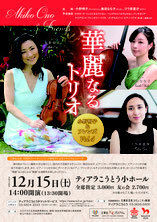 Supported by: VIRTUOSO VIOLINS Ltd.
Programme: Mozart & Debussy Sonatas etc. Artists: David Hill (Conductor), Orpheus Sinfonia, The Bach Choir etc. Programme: Mozart "Symphony" No.40, Fauré "Requiem" & Bernstein "Chichester Psalm"
Programme: Mozart Symphony No.40, Sibelius Symphony No.5 Op.82 etc. Programme: Works by Elgar, Vaughan Williams, W. Walton, F.Bridge & C. Scott etc. Programme: Mozart Piano Trio KV.502, Halvorsen "Passacaglia", Bizet/arr.Hubay "Carmen Fantasy" etc. 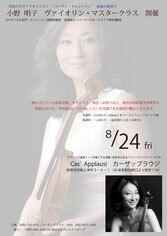 Programme: Bruch Violin Concerto Op.26 etc. Programme: Beethoven Violin Sonata Op.24, Tchaikovsky "Meditation" etc. Programme: Bach "Doppelkonzert", Elgar" Serenade for Strings" etc. Programme: Schumann Piano Quintet etc. Programme: Works by Grieg, Piazzolla, Debussy, Barbar etc. Programme: Works by Schubert, Elgar, F.Bridge, Sarasate etc. Programme: Works by Elgar, Giuliani, Piazzolla, Monti etc. Programme: Giuliani Serenade Op.127, Piazzolla "Histoire du Tango" etc. Programme: Works by Elgar, Wagner, Falla, Kreisler, Sarasate etc. Programme: Works by Elgar, Wagner, Falla, Sarasate etc. Artists: Akiko Ono (Vn), Thomas Carroll (Vc), Nigel Hutchison (Pn), Dr.Richard Hillier (Voice) etc. Programme: Works including Kreisler, Brahms, de Falla, Piazzolla etc. Artists: Yutaka Sado, Super Kids Orchestra, Akiko Ono etc. 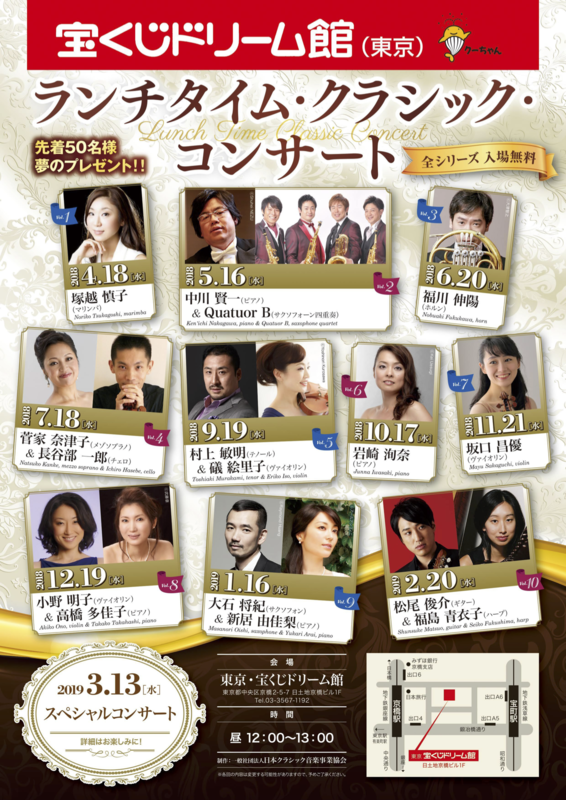 Programme: Bach "Chaconne", Akutagawa Triptyque, Mendelssohn Octet etc.